TEHRAN (Tasnim) – The Iranian cabinet on Wednesday approved a plan to forge closer cross-border cooperation with the neighboring countries and the Central Asian states. 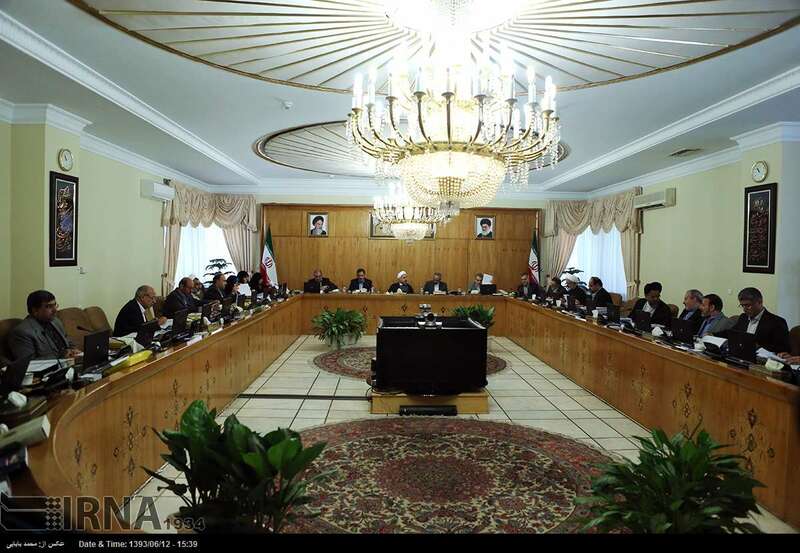 In a cabinet meeting, the Iranian officials approved initiatives for the expansion of political relations with neighbors and facilitation of consular affairs. It also introduces schemes to activate mutual economic commissions, promote bilateral trade ties and implement infrastructural, constructional, industrial and mine projects. Furthermore, the plan necessitates the establishment of direct flight routes between Iran and neighbors, enhancement of road, railroad and marine transportation, as well as broadening of telecommunication ties. Earlier in August, Iranian President Hassan Rouhani reaffirmed his administration’s commitment to pursuing the policy of “constructive interaction” with the world. He noted that expansion of ties with neighboring countries and the regional states tops the agenda of Iran’s foreign policy. The Iranian president referred to the diplomatic efforts Tehran has made over the past 11 months to strengthen ties with the neighbors.